GB Posters love London! Whether it’s a quick whistle-stop visit for a busy meeting or a leisurely trip for a gig or sporting fixture we just can’t get enough of our capital city. So when we heard that we’d captured the license for Transport For London we couldn’t wait to see what plans our design team had for a brand that is instantly recognisable around the globe. As well as mugs dedicated to your very own local line or tube stop our team have curated a very special ‘heritage’ range of framed images with artwork from years gone by. The prints feature vintage advertisments for iconic London based attractions and events such as Kew Gardens, Wimbledon, The Boat Race, Imperial War Museum and many more. 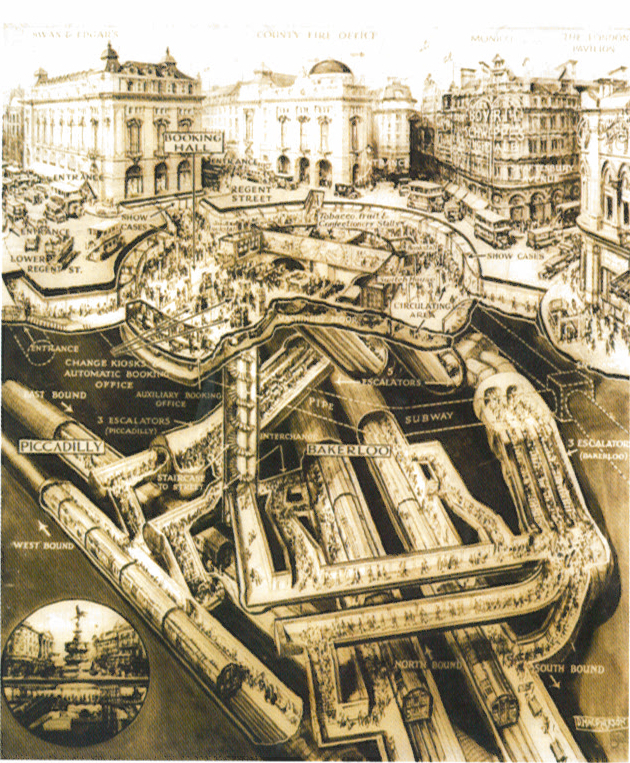 Looking at these archival prints our office talk turned to the construction of London’s Underground system over 150 years ago and the complexity of what lies beneath the streets in one of the world’s busiest cities. 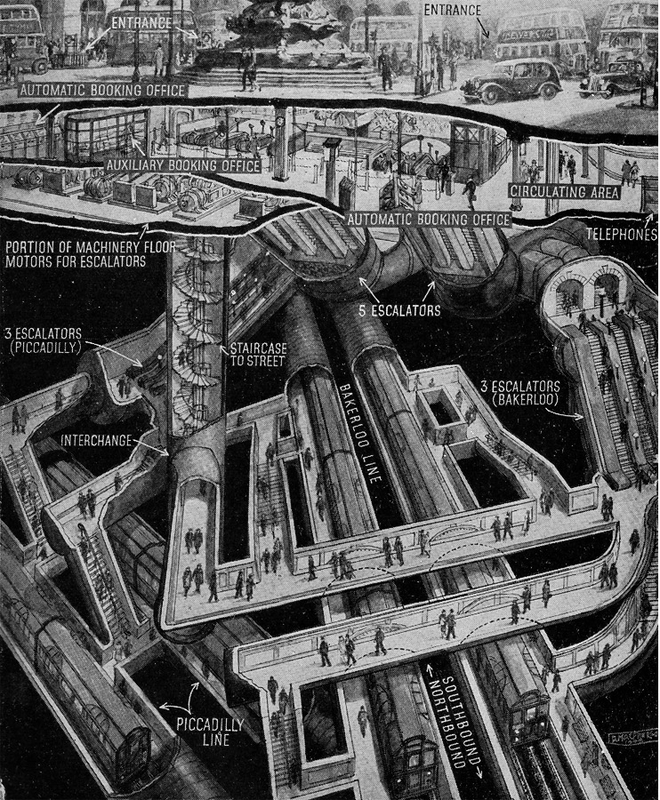 We headed for Google which lead us to a WordPress site with a detailed history of the Tube network featuring some incredible cut-away cross section style drawings which help to make sense of the myriad of tunnels and tracks that keep London connected.